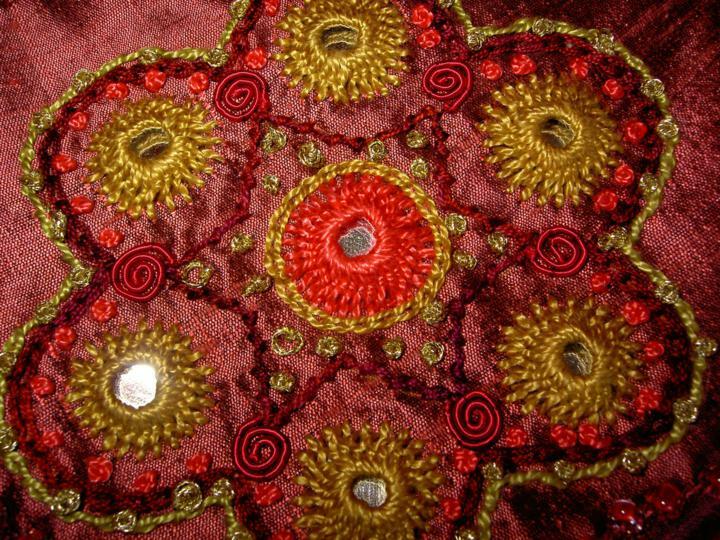 Colourful and sparkling, this workshop covers the application of shisha mirrors onto silk. 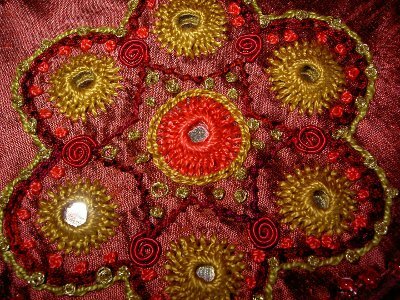 Traditional stitches such as Chain and Stem are added and embellished with beads. The finished pieces make lovely purses or bags, and you can be very creative with colour - letting it clash (or crash!) which can really stimulate the senses.